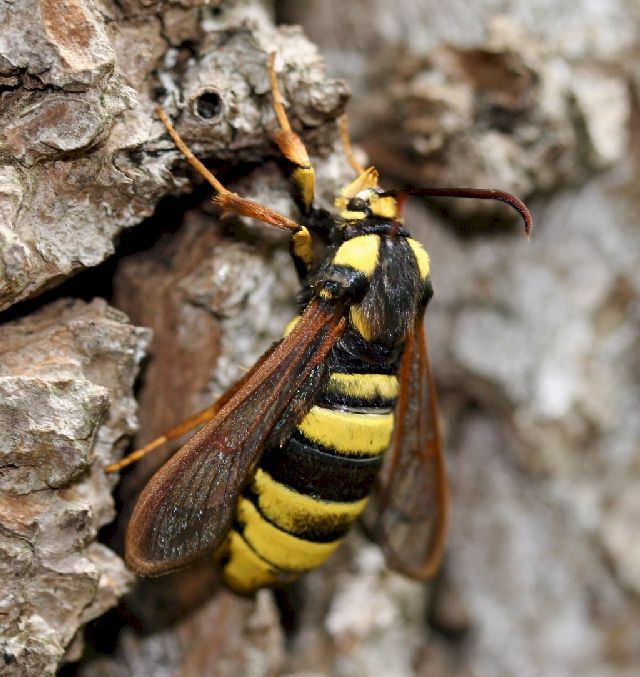 The Hornet Moth belongs to a family of Lepidoptera, commonly known as clearwings. 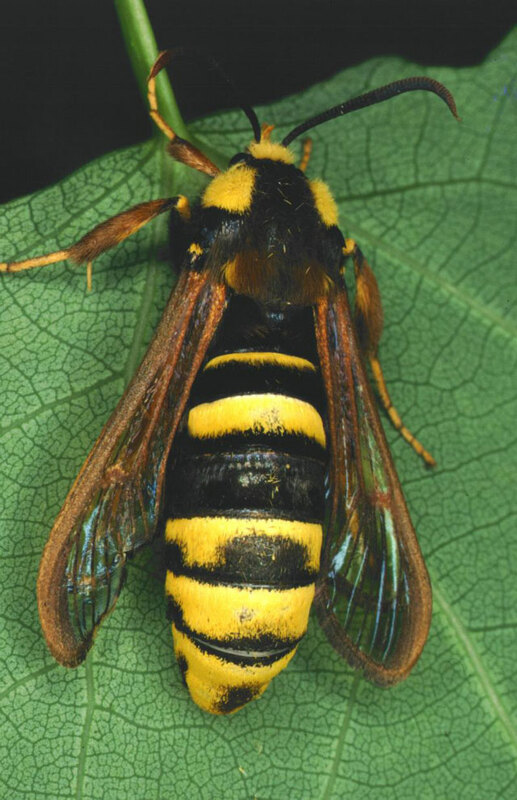 Rather similar to the Lunar Hornet Moth (Look next page! ), this species can easily be distinguished by the yellow head and tegulae. 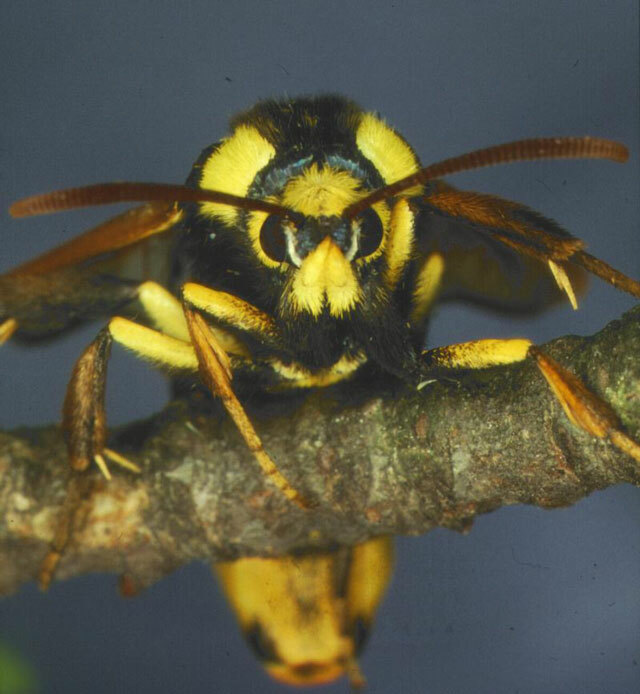 The moths emerge in June and July, and can be found low down on the trunks in early to mid morning. The Larvae taking up to two years in its development. They burrow in lower parts of the trunks of Sallows (Salix sp. ), into the wood of black poplar (Populus nigra), and other species of poplar. 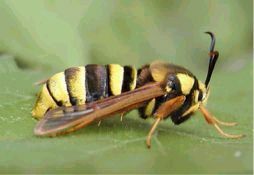 The Hornet Moth is very scarce in the British Isles (a Red Data Book species) and is only present in a handful of counties. 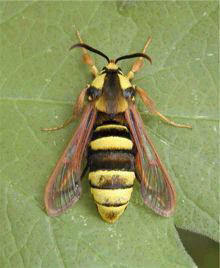 It is also found in Holland, Germany, Austria and Bohemia.